Justin Rose reached No. 1 in the world for the first time in his professional career as a member of TaylorMade's Tour staff. 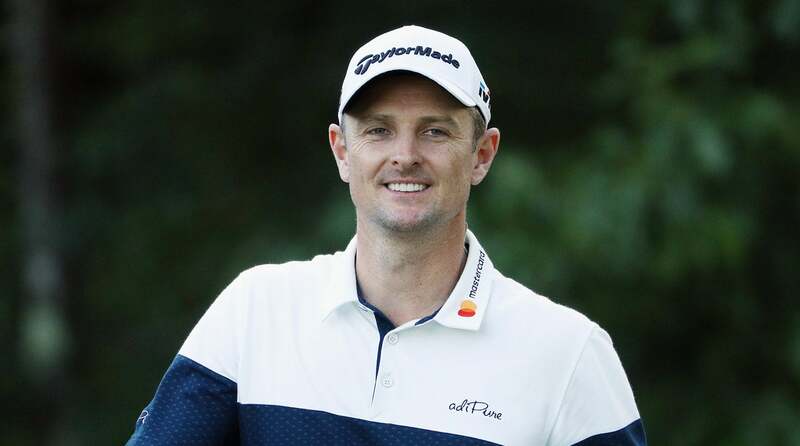 Now the reigning FedExCup champion appears set to close out a 20-year partnership with the equipment manufacturer following reports from the Irish Times and Morningread.com that he'll part ways with TaylorMade and sign an equipment deal with Japanese-based Honma Golf in January. According to the reports, Rose was asked after Sunday's title defense at the Turkish Airlines Open about the status of his equipment contract with TaylorMade, which is reportedly up at the end of this year. Rose wouldn't confirm the move, but his cryptic “Where there’s smoke, there’s fire" response didn't exactly squash rumors that have been swirling about his impending departure. When reached for comment by GOLF.com, TaylorMade and Honma officials declined to comment on Rose's equipment future and the status of his current contract. If Rose ends the season No. 1, he'll become the second marquee name in the last six years to sign a new deal equipment deal as the top-ranked player in the world, joining Rory McIlroy, who bolted from Titleist to sign a head-to-toe apparel and equipment deal with Nike in 2013. Since TaylorMade was acquired by private equity firm KPS Capital Partners in 2017, the equipment manufacturer has contracted its footprint on the PGA Tour, shedding a large majority of its Tour staff. Last year, Sergio Garcia departed TaylorMade to sign a multi-year deal with Callaway. Assuming Rose is no longer in the picture, TaylorMade's Tour staff for 2019 would consist of Dustin Johnson, Rory McIlroy, Jon Rahm, Jason Day and Tiger Woods, who are all currently ranked inside the top 13 in the Official World Golf Ranking. Honma's presence on Tour has been almost non-existent in recent years, but that could be changing with former TaylorMade CEO Mark King in the fold. King, who held the CEO position from 1999-2013 and spent 34 years with the brand, was hired by Honma in August as a strategic advisor; however, many within the industry believe he'll be running Honma's North American operation with the hiring of former TaylorMade executives who previously worked with King. It's been reported that Rose's deal with Honma would require him to play the brand's irons and wedges but allow him to continue using TaylorMade woods. It's unclear if he'd continue using a TaylorMade golf ball or switch to a Honma model. Established in 1959 in Sakata, Japan, Honma struggled to make a name for itself early on and filed for bankruptcy protection in 2005 before it was acquired by a Chinese fund run by businessman Liu Jianguo. Over the last eight years, Jianguo has turned Honma into a premium brand with gold-plated drivers and irons that run in the five-figure range. Some full sets in the past have gone for as much as $75,000. While Honma's focus will continue to be on selling high-end clubs, signing Rose would give the brand Tour validation — something it likely needs if it wants to break into the premium club marketplace in North America.